i had promised Anju to post a recipe of mushroom manchurian .....it took me so long to post the recipe though i made it a couple of weeks back.........better late that never and here i am with the yummy recipe. 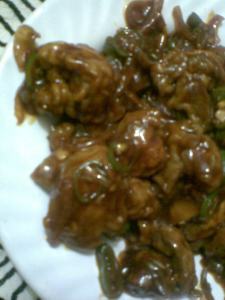 Mushroom manchurian makes me drool:) Love mushroom in any form. 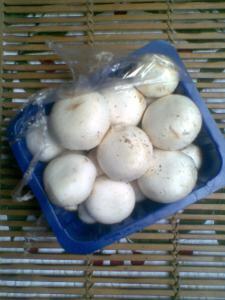 I love mushroom very much. Oh! 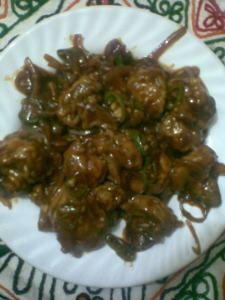 mushroom manchurian looks yummy and delicious. Very beautifully presented with wonderful pictures. I am sure that was great! 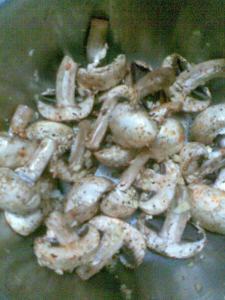 i like mushroom i m just going 2 make it after navratras. Can I make these without eggs? Any alternatie to eggs/ any extra precaution needs to be taken in that case? 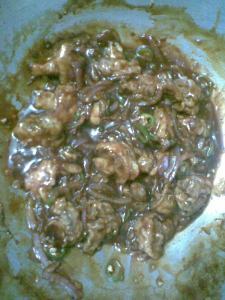 Am presuming we can make gobhi manchurian same way..... How abt Paneer chilli ( a fav out here :)? 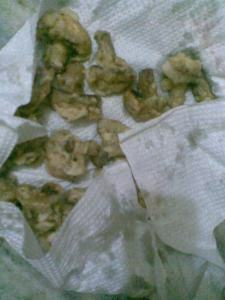 yes it can be made without eggs and even without deep frying....sometimes i just stir fry the mushrooms till they are a bit dehydrated and then proceed to make chilly with them. With gobi , paneer , boiled potatoes or soya chunks ( chicken and fish too) this turns out great . 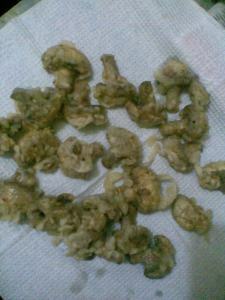 Try with a thick batter of only corn flour and maida mix if you are deep frying these...turns out good.